We all hear that investing is complicated. In fact, according to a recent survey, 69% of millennials think investing is confusing. (1) Fancy financial words and number-heavy charts completely turn them away from investing for their future. But the most important aspect of your investing plan—the part where you actually invest consistently month after month—can be so simple you don’t even have to think about it. How do you make it simple? Automate your investments. Let me explain. An automatic investment plan allows you (the investor) to automatically transfer a specific amount of money from your paycheck to your investment account—401(k), IRA, etc.—on a regular basis. Automating your investment contribution allows you to set it up and leave it alone. That way, you’re not tempted to spend investing dollars somewhere else—because you won’t even see those dollars before they’re invested! An automatic investment plan could be just what you need to create the retirement of your dreams and leave a legacy that impacts your family tree for generations to come. Let me explain why you should have an automatic investment plan—and how you can start. Why Should I Have an Automatic Investment Plan? Are you investing part of your paycheck toward retirement every month? If not, you’re leaving your financial future up to chance. An easy way to stay on track with your retirement contributions is by setting up an automatic investment plan. It’s like putting them on cruise control! Then, you won’t have to remember to set aside investment money every month. It stops you from spending investment money. When you work hard and see that paycheck appear in your bank account, it’s tempting to justify a little splurge. A night out or a weekend getaway is fine—if you have the money. But it’s not okay when that money was meant for your retirement plan. Automation removes temptation. Rather than take control away from you, automating your investments gives you more control over your spending behavior so you can reach your financial goals faster. It gets your family on the same page. If you’re married, there’s a potential battle every month for how much to spend and how much to save. But when you automate your investments, the decision is made. Your money is already set aside for retirement without further discussion (or disagreements). It saves you time and relieves stress. An automatic investment plan keeps you from having to take time to transfer your money manually. And you won’t be stressed about investing enough each month. With more time on your clock and one less thing to stress about, you’ll be able to do what you actually enjoy. It helps you to avoid dumb investment ideas. When you automatically invest your money for the long term, you’re no longer susceptible to dumb investing methods, like day trading (where you’re likely to lose money) and micro investing apps (that distract you from producing bigger results). How Do I Start an Automatic Investment Plan? 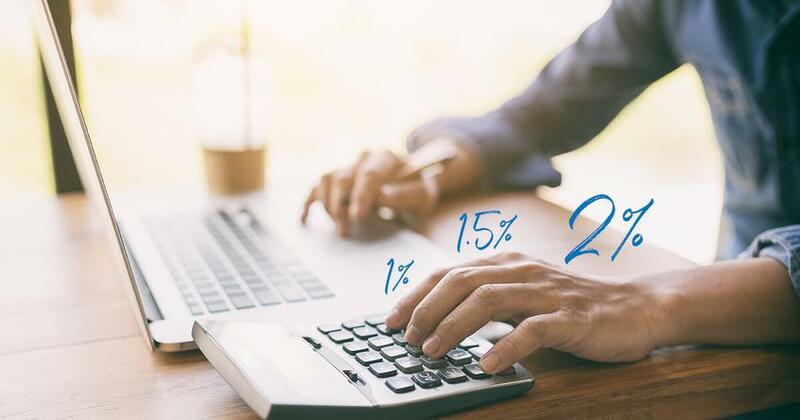 Before you start an automatic investment plan, decide to invest a percentage, not a dollar amount. The amount you invest should change as your income increases. A percentage will allow you to invest enough money without killing your budget. If you follow what I teach, meaning you’re out of debt with an emergency fund of 3–6 months of expenses, you should invest 15% of your gross household income—not including the match you may get on your 401(k). For example, imagine your household income is $60,000 per year. If you contribute 15% of that to retirement, you’d invest $9,000 per year, which is $750 per month. But if you get a raise next year, your retirement contribution shouldn’t remain at $750 a month. Instead, continue investing 15%, so your monthly contribution will increase with your income. Now you may be wondering: Why 15%? Why not more? Why not less? There are two main reasons 15% is a good rule of thumb: your kids’ college fund and your home. Let me explain. Why not more? You need some income left over to save for your kids’ college fund and to pay off your home early. Why not less? Your kids’ college degrees won’t feed you when you retire. And when you get too old to work, a paid-off house won’t be so great if you don’t have any money. You could end up selling your house just to eat! If your house is paid for and you don’t have any kids, then by all means, invest as far beyond 15% as you can! If you haven’t already done so, ask your employer to help you set up direct deposit. You want to have your paychecks immediately transferred into your bank account to avoid the temptation to "accidentally" spend your money without a plan. If a company-sponsored retirement plan—like a traditional or Roth 401(k)—is available, then your employer can automatically transfer your investment amount into your 401(k). You’ll just have to sign some paperwork to make that happen. Again, make sure you’ve set the appropriate percentage (I suggest 15%) as the automatic transfer amount instead of a flat dollar amount. If your employer offers a Roth 401(k) option, then you can invest all 15% there. If they offer a traditional 401(k) with a company match, I recommend using a Roth IRA as well. As of 2018, you can invest up to $18,500 a year in a Roth 401(k)—or $24,500 if you’re age 50 or older. (2) So, if we return to our example of earning $60,000 a year, you could invest your entire $9,000 (15% of your income) in your Roth 401(k). With the Roth option, you invest after-tax dollars. So, your money grows tax-free! Just make sure the Roth 401(k) your employer offers includes a good selection of mutual funds. If it doesn’t, then follow my advice for a traditional 401(k). If your employer only offers a traditional 401(k) but will match a percent of the contributions you make, invest enough there to receive the total match—that’s an instant 100% return on your investment! Then invest the rest of your 15% in a Roth IRA to take advantage of the Roth option’s tax-free growth. 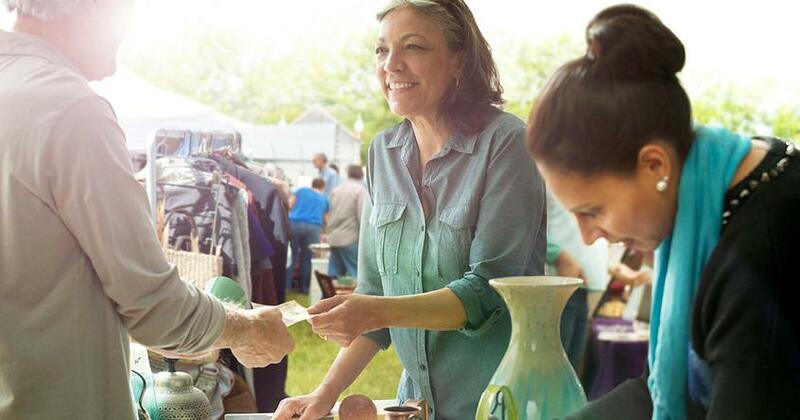 You can invest up to $5,500 (or $6,500 if you’re age 50 or older) in your Roth IRA each year. (3) At that point, if you still haven’t reached your 15% goal, then return to your 401(k) to invest the rest of your 15%. Let’s see how this plays out with our $60,000 income example. Suppose your employer offers a traditional 401(k) with a 3% match. First, you’d want to invest 3% in the 401(k) to receive the match. That’s $1,800 of the total $9,000 you’re investing. Then you’d have $7,200 left to invest. Only $5,500 can go in a Roth IRA (assuming you’re under age 50) because of the contribution limits. So, that leaves you with $1,700 to go back and invest in your 401(k). Now, if your company doesn’t offer a company match, invest in a Roth IRA first. Then invest the rest of your 15% in the company 401(k) plan. That’s because the Roth IRA gives you better tax breaks than a traditional 401(k). If you’re going to contribute to a Roth IRA, then you’ll need to do the legwork an employer does with a 401(k). With your 401(k), you tell your employer the percentage you want to contribute and they do the math. But with a Roth IRA, you have to calculate the contribution amount yourself so you know how much to invest each month. This means it’ll be up to you to increase the contribution amount as your salary grows so that you maintain the 15%. Depending on what your employer offers, you’ll either set up automatic payroll deductions or automatic withdrawals from your bank account. Your employer might offer to have money deducted from your paycheck to contribute to your Roth IRA. 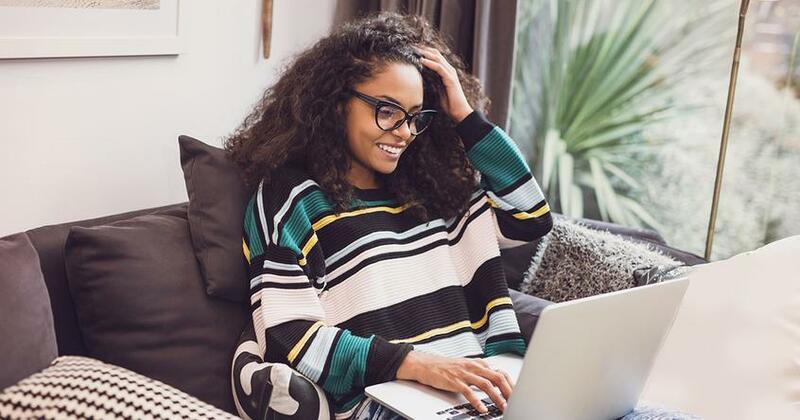 To do this, you might need to ask your Roth IRA contact (known as the custodian) for a routing number and account number. Once you have these, you can set up automatic payroll deductions to transfer an amount of money from each paycheck to your Roth IRA. If your employer doesn’t offer payroll deductions, ask your Roth IRA custodian to set up automatic withdrawals from your bank account each week or month. But check to be sure the transfer dates take place after you get paid. Otherwise, your contribution may be withdrawn before your paycheck arrives—which could mean trouble with your bank. If you want another way to make investing easy, meet with a financial professional. Our free SmartVestor program connects you with qualified investing professionals in your area. The best part is, these pros can help you navigate setting up an automatic investing plan.